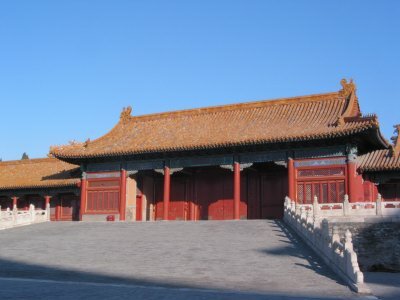 The Gate of Blending Harmony (Xiehe men) is in the center of the corridor of buildings that define the east side of the square of the Gate of the Supreme Harmony (Taihe men). 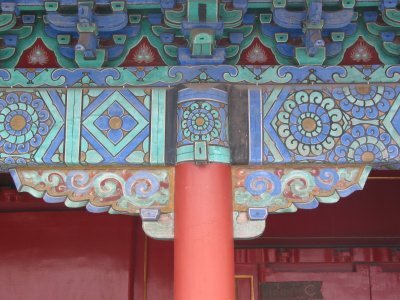 It is the gateway from the Outer Court to the Hall of Literary Brilliance (Wenhua dian) and to the Grand Secretariat of the Ming dynasty. 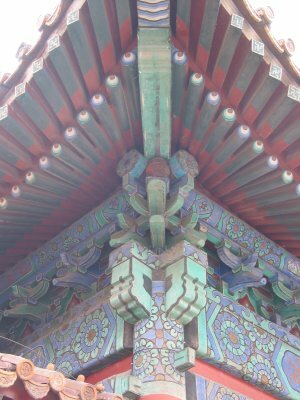 It was initially named Gate of Left Obedience (Zuoshun men). The Shunzhi Emperor (r. 1644-1661) gave it the current name after a restoration. 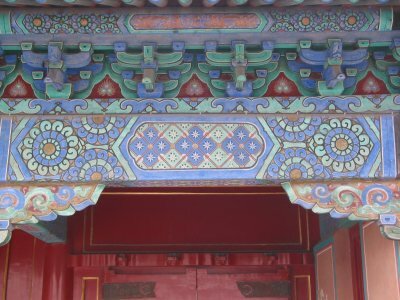 The Jingtai Emperor (r. 1450-1456) of the Ming dynasty held noonday audience at this gate during wartime. In the early years of the Jiajing reign (1522-1567), the so-called "Great Rites Controversy” (Da liyi) was precipitated by the emperor when he rejected the posthumous adoption by his uncle, the previous emperor, and launched efforts to promote his biological parents to imperial status. In response to this unseemly manipulation of the imperial line, in 1425 some two hundred ministers knelt down at this gate and cried loudly to demonstrate their opposition.